Part Number Description Status Drivers Per Package Receivers Per Package Logic Voltage (Min)(V) ICC (Max)(mA) Shutdown Control Data Rate(kbps) Main Supply Voltage (Nom)(V) ESD HBM (kV) ESD Contact (kV) ESD Air (kV) Operating Temperature Range(℃) Pin/Package EV Kit Available? The UM3221E/UM3222E/UM3232E series are 3.3V powered RS-232 transceivers intended for portable or hand-held applications. 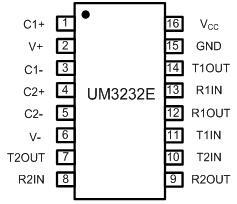 The UM3221E has one driver/one receiver while the UM3222E/UM3232E has two drivers/two receivers. The device features low power consumption, high data-rate capability and enhanced ESD protection. The ESD rating of all transmitter outputs and receiver inputs is ±15kV for both human body mode and IEC61000-4-2 air discharge methods, and over ±8kV for IEC61000-4-2 contact discharge methods. The logic I/O pins are protected to ±2kV for human body mode. Small footprint, low profile package and the use of small 0.1μF capacitors ensure board space savings as well. 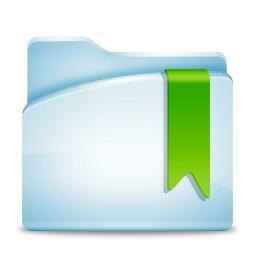 Data rates greater than 250kbps are guaranteed at worst case load conditions. This family is fully compatible with 3.3V-only systems, mixed 1.8V and 3.3V systems, mixed 3.3V and 5.0V systems and 5.0V-only systems. 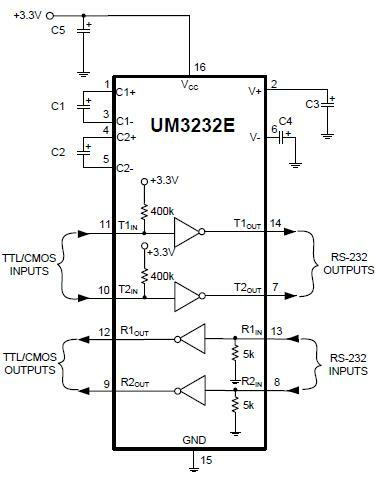 The UM3221E/UM3222E has a low-power shutdown mode where the devices’ driver outputs and charge pumps are disabled. During shutdown, the supply current falls to less than 1μA that reduces power consumption in battery-powered portable systems or other low power consumption systems. The UM3221E/UM3222E receivers remain active in shutdown mode, allowing monitoring of external signals. The UM3221E/UM3222E and UM3232E are pin, package, and functionally compatible with the industry standard MAX242 and MAX 232, respectively. 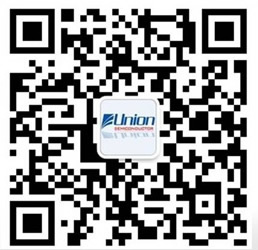 @2014 Union Semiconductor Limited. All rights Reserved.